Jaye is not the biggest sweet tooth. I think you know by now that I definitely am! But Jaye isn’t. He’ll definitely enjoy a dessert or a piece of cake, but he can take it or leave it most of the time. He’s more of a savory type. 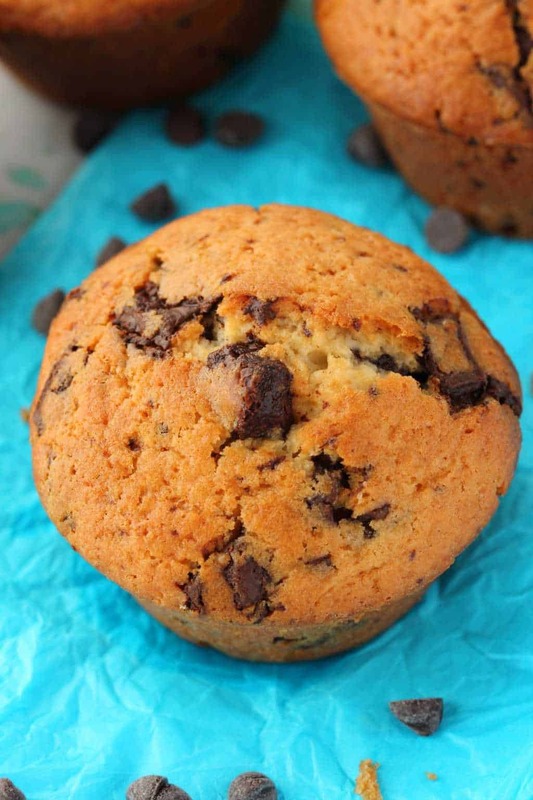 These vegan chocolate chip muffins were a different story. It seemed like every time I looked up over the past few days he had one of these on the go. Usually we give away most of the stuff we make, we’ll have a portion (because obviously we try it, otherwise how would we know it’s good?) but then give away the rest because no one can eat as much dessert as I make! Well, there was practically nothing left to give away once Jaye had finished with these muffins. Maybe it’s because they’re like dessert, but also not. Well, I mean they totally are! But they’re also called muffins, not cupcakes, so you get to eat them for breakfast and it’s totally normal! And even though they’re sweet, you can also slice them in half and put some vegan butter on them just like you would if they were savory. The recipe is crazy simple. 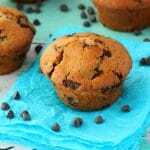 It’s just 8 easy ingredients and 45 minutes and you have delicious vegan chocolate chip muffins! I used chocolate chunks, basically just chopped up a few slabs of vegan chocolate and that was awesome for these. You can definitely also use regular vegan chocolate chips if you prefer. I went with quite a lot of chocolate for this, a cup and a half of chocolate chunks (or chips as you like) because why not! 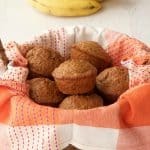 These muffins are super moist and that comes about from a half cup of coconut oil and some homemade vegan buttermilk. 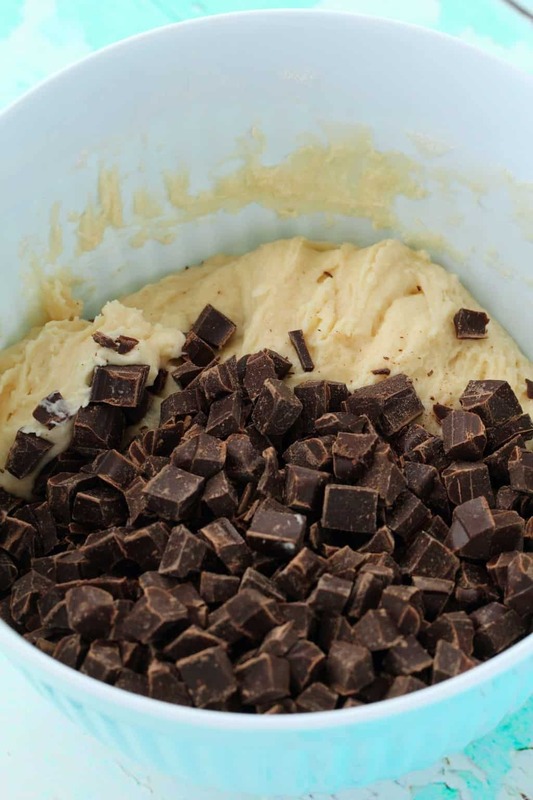 It’s important for your batter to be nice and thick, so your chocolate chips or chunks don’t just sink. 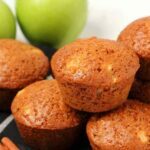 You want them nicely spread out around your muffins. This is why I chose coconut oil rather than another oil, as coconut oil is pretty thick. Using vegan buttermilk is another factor in this, as it’s very thick compared to regular non-dairy milk. So the result is a nice thick batter that holds up the chocolate chunks very well. 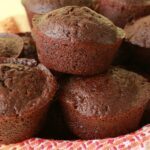 I decided not to use muffin liners for these, as I really love how muffins look when they bake directly in the tray, but it can be a little tricky to get them out. Usually it’s not an issue, but I think the chocolate chunks make them tend to stick more. 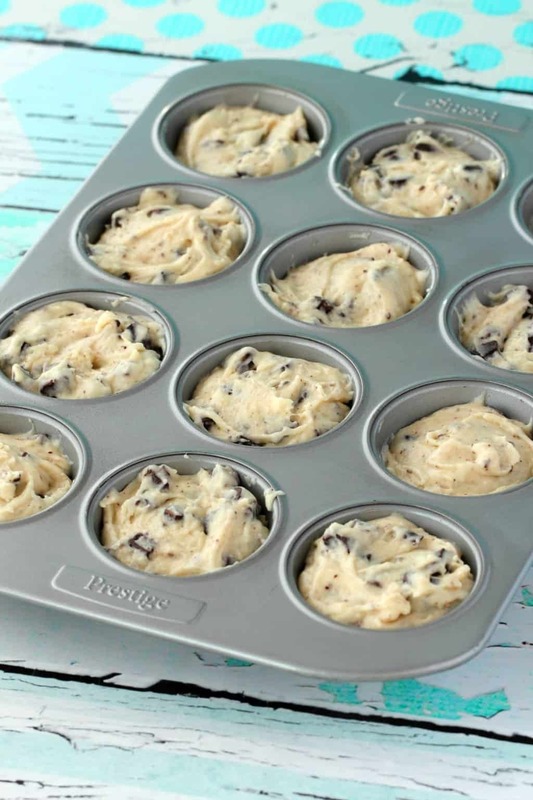 The solution is to spray the muffin tray very well with non-stick spray – you’d do this anyway, but just be sure to do it extra well – and also let the muffins cool for at least 10 minutes in the tray before you try and get them out. 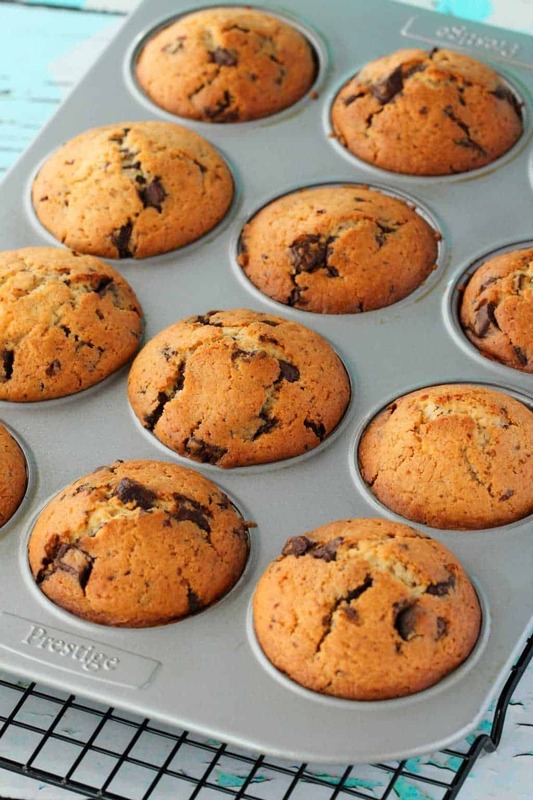 It’s tough, when your whole house is smelling like muffins and you know they are pure melty chocolate muffin deliciousness straight out of the oven, you just want to get ’em out the tray and eat one right now, but you gotta wait. Or you could end up with broken muffins. 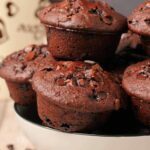 Alternatively you can use muffin liners! 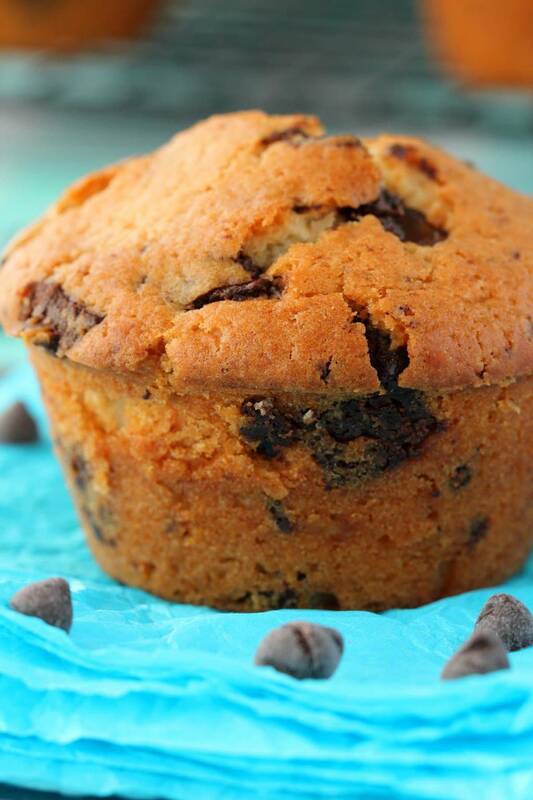 Breakfast and dessert in one! 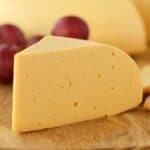 Keep them covered at room temperature where they will stay fresh for a few days or covered in the fridge where they will last up to a week. 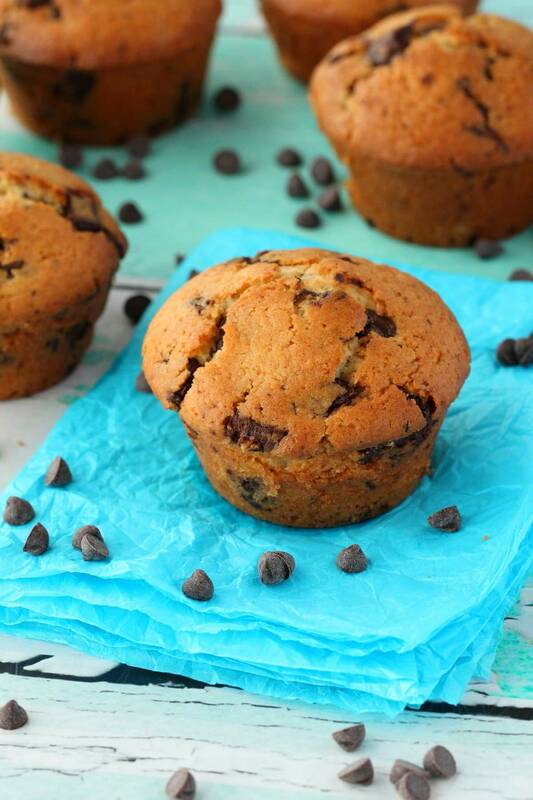 What do you think of these vegan chocolate chip muffins? Let me know your thoughts or any questions you have in the comment section. 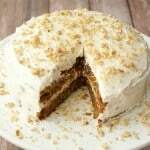 Please rate the recipe too! Thanks so much! 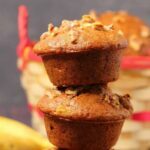 For more vegan muffins, check these out! Sign up for our email list and you’ll get an awesome 10-recipe ebook containing delicious vegan dinner recipes and you’ll stay updated with all our latest recipes just as soon as they’re posted to the blog! 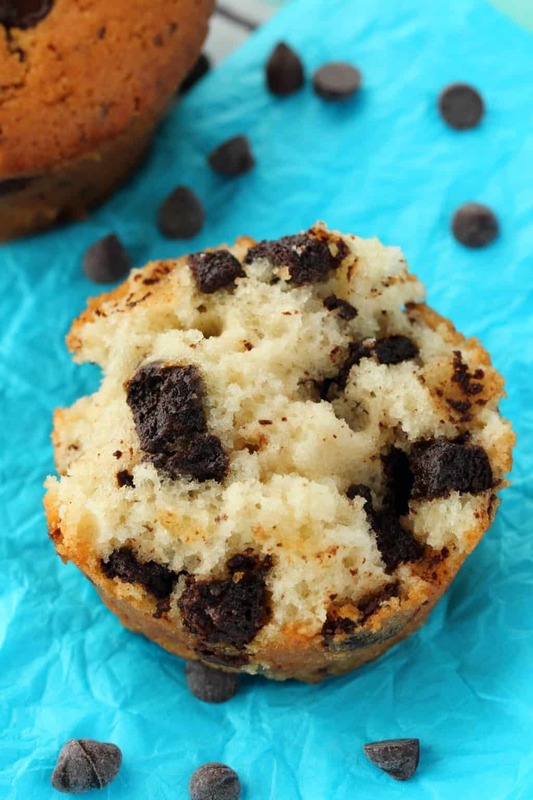 Super easy 8-ingredient vegan chocolate chip muffins, moist, rich and packed with chocolate chunks. This is when you get to eat dessert for breakfast! Sift the flour into a mixing bowl and add the sugar, baking powder and salt. Squeeze half a lemon into a measuring jug and then add soy milk up to the 1 cup (240ml) line. Stir it in so it curdles. Pour in the buttermilk to the mixing bowl and add the vanilla and melted coconut oil. Stir it in until combined, but be careful not to overmix. 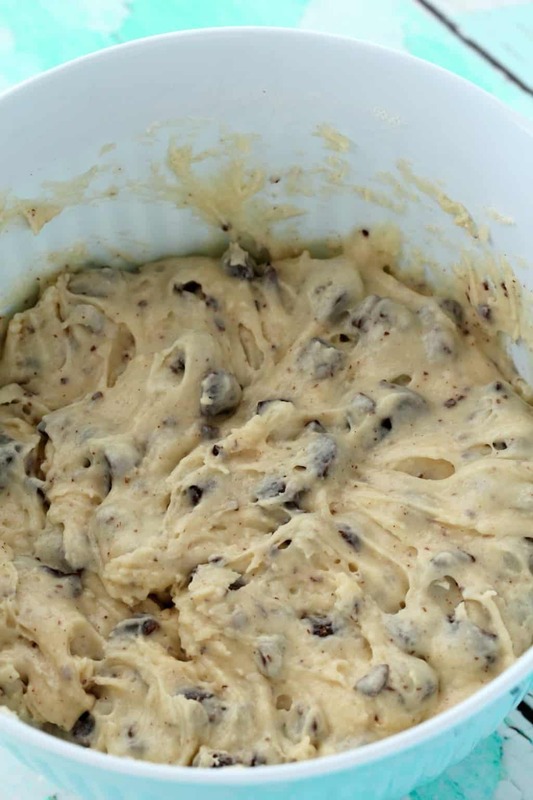 Add in your chocolate chips or chunks and stir them in so they’re evenly mixed. 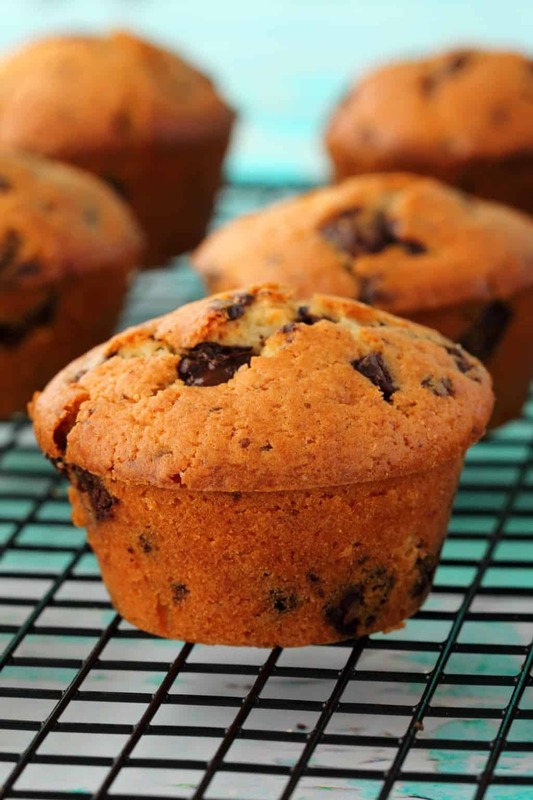 Spray a muffin tray very well with non-stick spray, or alternately line it with muffin liners. 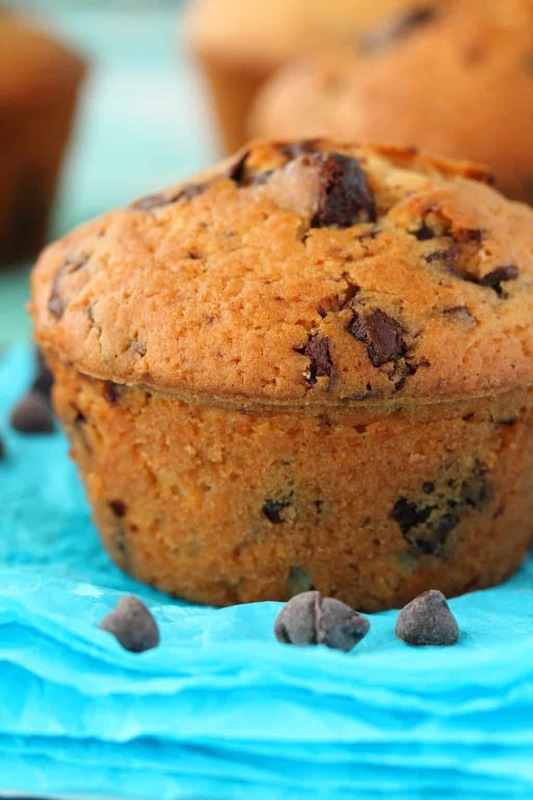 Place into the oven and bake for 30 minutes or until a toothpick inserted into the center of one of the muffins comes out clean (or with chocolate on, just no wet batter). 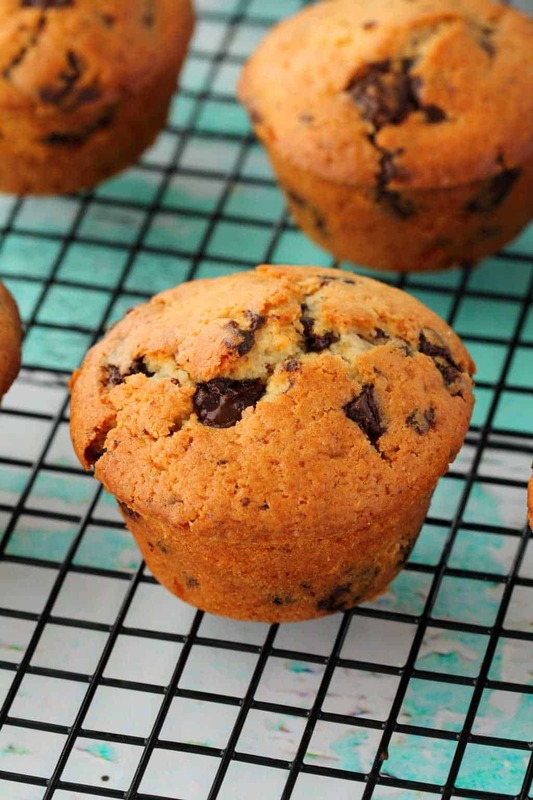 Allow to cool for at least 10 minutes before removing them from the muffin tray (unless you used muffin liners, then you can take them out right away). *Weigh your flour for the most accurate/best results. 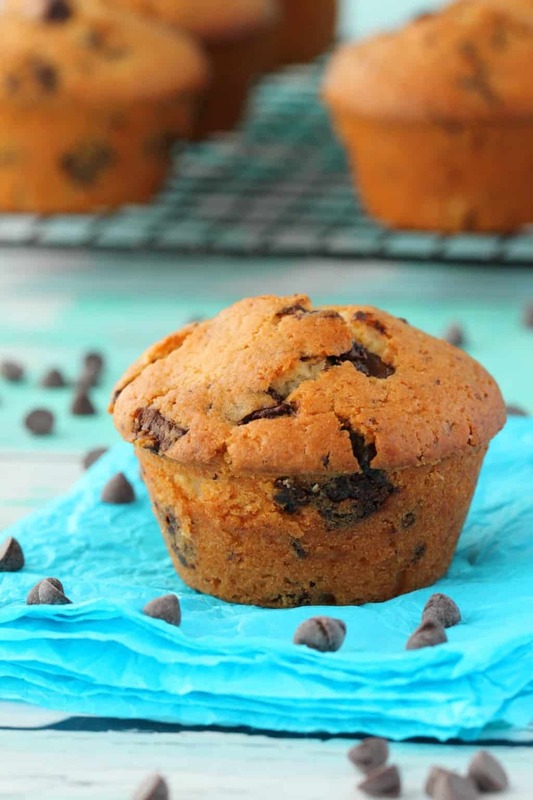 *Almond milk also works well for making vegan buttermilk but it does result in a thinner milk consistency, which might not work as well for these muffins as a thick batter is important, but if you can’t use soy milk, then you can definitely try almond milk. *I would usually say you can switch the coconut oil for a different oil but in this case, since you need the batter to be nice and thick, coconut oil is the best oil to use. 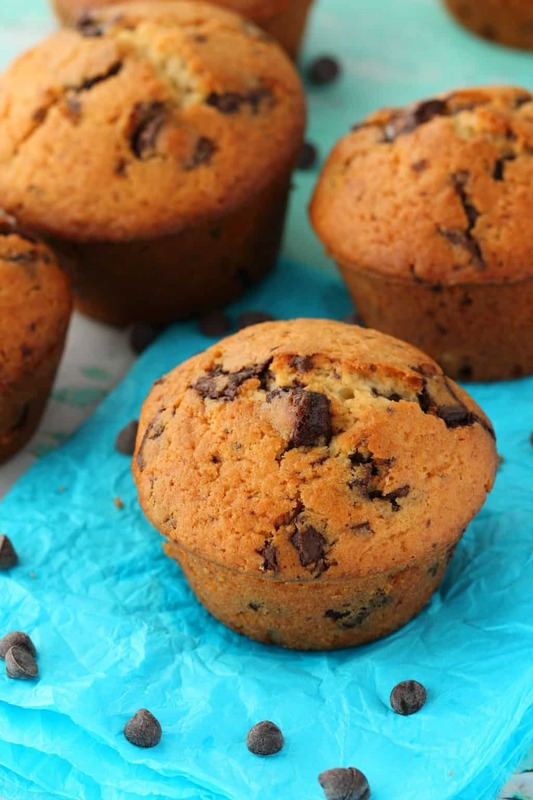 You can try a different one if you can’t use coconut oil, but it’s possible that the chocolate chips won’t disperse as evenly through the muffins once they’re cooked. It might still be fine though. 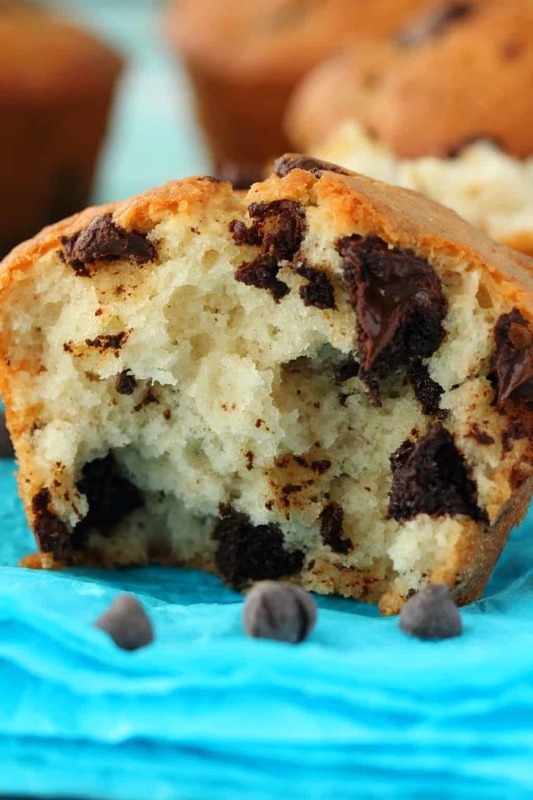 These are amazing, super fluffy and moist, just perfect! Thanks for the recipe! 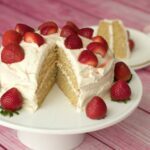 Super soft and moist – delicious! 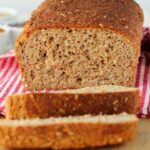 Easy and tasty for breakfast or tea! I made some for my family and they were gone in a split second. Verry yummy☺☺. Delicious! I used pea milk because I was out of soy and they came out great. White sugar gives me a headache so I replaced it with maple syrup and these turned out amazing. 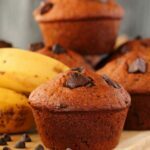 The only moist vegan muffin recipe I have found!